Here is an excellent example of a scaled-up version of one of our standard Galaxy Fountains. This one measures out to an impressive eight-feet -tall by four-feet-wide. 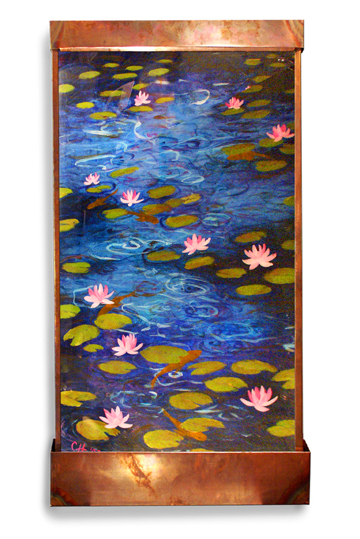 We added koi and lily pads and flowers and custom colors and this is one vibrant koi pond!